In B-P (Children – Adoption or Fostering)  EWCA Civ 2042 the Court allowed an appeal brought by the Local Authority concerning a court’s decision not to grant Placement Orders in respect of three children under 5. The Court was concerned with an application for Care Orders in respect of five children – the oldest two were placed together in foster care and the youngest three were together in a separate foster placement. The children all had regular contact with each other and their parents. A final hearing was heard before a Recorder in July 2018 who, having ruled out the parents, made care orders in respect of all five children but refused to make placement orders for the younger three. The Judge concluded that it was in the younger three children’s best interests to remain in foster care for their minority. In reaching that decision, the Judge stated that adoption would not be in the welfare interests of the girls and there was a risk they would be separated if adopted. The Local Authority appealed this decision, supported by the Guardian, and the matter was heard before three Judges in the Court of Appeal. Lord Justice Peter Jackson gave the leading judgment on the appeal. The appeal was therefore allowed and the case remitted to be heard before a different judge. It is noteworthy that Lord Justice Peter Jackson levied no harsh criticism at the Recorder and stated that he had given ‘evident care’ when reaching his decision. However, he did not give any weight at all to the potential benefits for the children of adoption, whether together or separately, and therefore it was with regret that Lord Justice Peter Jackson stated that the decision could not stand. 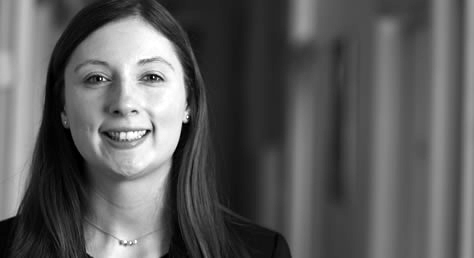 If you have a child care case you need advice or assistance with, please contact Sarah on s.colley@wilsonllp.co.uk or for an appointment call Mavis on 020 8885 7986.